Mumbai: World No 2 Kidambi Srikanth had just landed in Hyderabad days after winning two back-to-back Superseries titles in October. Looking at Srikanth's red-hot form in 2017, where he had four Superseries titles to his name, one would have expected the Guntur shuttler to give World No 1 Viktor Axelsen a tough fight for the numero uno spot before the season ended. But, the tight strapping under Srikanth's right knee during the summit clash at the French Open final against Kenta Nishimoto indicated that he needed a break to start afresh with two crucial events coming up soon — China Open Superseries Premier and Hong Kong Open Superseries, before the Dubai World Superseries Finals in December — which would give the 24-year-old the opportunity to earn all-important points to pip the Danish shuttler. However, Srikanth's next halt was in Nagpur, where the 82nd Senior National Badminton Championships were being held, where all top-rung Indian shuttlers like PV Sindhu, Saina Nehwal, HS Prannoy and Srikanth had been reportedly told to participate by the Badminton Association of India (BAI) president Himanta Biswa Sarma. Playing the Nationals immediately after or before major tournaments adds to toll on the bodies of shuttlers, who anyway have a cramped schedule with back-to-back events which also require hectic travel. Though Srikanth was not at his best, despite edging past Shubham Prajapati 21-17, 23-21 in the quarter-finals and upcoming youngster Lakshya Sen 21-16, 21-18 in the semis, he continued to play in the final against Prannoy, where he reportedly aggravated his knee injury. The injury affected his performance in the final, which led to him losing in the summit clash. But a bigger body blow was that the injury meant Srikanth had to pull out of the China Open, which in turn raised questions about the scheduling of the Nationals. It was not only an additional burden on the already heavy workload of Srikanth but also his compatriots like Prannoy, Sai Praneeth, Sindhu and Saina to play just days after competing on a platform where the level of the competition is much higher. 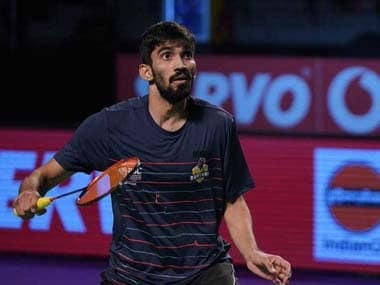 On being asked about playing at the Nationals next year, Srikanth went as far as saying that he would like to play but his participation would "depend on when it will be scheduled and what the conditions are". "I believe it is all the more important for a player to be aware of which tournaments he or she should play right from the beginning. As we know, it is already a cramped schedule and at the international circuit, one should be careful not to overdo things to remain injury-free. If your injury gets serious, you'll end up missing action for six months. 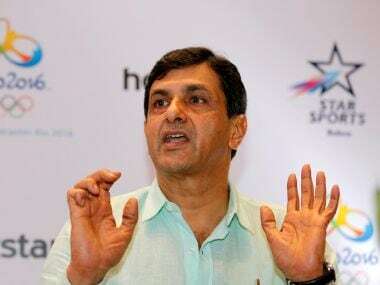 So, all the top players should sit down with the coaches and pick tournaments they will play well in advance," former World No 1 Prakash Padukone told Firstpost on the sidelines of a press conference to announce the schedule of the Tata Open International Series tournament. The number of major tournaments played and won by the Indian shuttlers this season has been astonishing, with Srikanth claiming four, Sindhu two and Sai Praneeth bagging a Superseries title in as many months. Padukone feels that the time has come for shuttlers to focus on aspects such as fitness and consistency. "They (Indians) are definitely playing more than the required number of tournaments. It's important to strike a right balance between playing and resting. They need to be careful not to play too many. Fatigue and injury can result from playing too many tournaments. I always maintain that while ranking is important it's not the only thing," said the ex-All England champion. Padukone pointed out that for players like 16-year-old Lakshya, who recently defended his India International Series crown and trains at his academy, the calendar is already fixed. "So, from January to March next year, we have planned things in advance so that he knows where to compete. From a young age, a player should make that a habit. You need a plan, only then you will last longer on the court. In terms of longevity, if you see Roger Federer, what is the reason for his fitness? He strikes a balance between tournaments and fitness so brilliantly," he added. He added that fitness rather than rankings should be any shuttler's priority. "The focus should be on winning the important tournaments like the All England, World Championships, Olympics and Superseries finals. You should try to peak during these periods and accordingly plan your schedule. It doesn't matter if in the bargain your ranking goes down for one week. People later remember you by the number of important tournaments you have won. I am not saying ranking is not important, but if there is a variation in ranking that should not worry you much," Padukone said. There is absolutely no doubt that having Sindhus and Sainas at the Nationals will attract masses, but at the same time BAI needs to think about its players' workload too. Padukone lauded Srikanth's foresight in choosing to skip the Hong Kong and China Opens. "What Srikanth has done, to skip tournaments, is the right decision. He could have played China and Hong Kong Opens. He could have become number 1. But he has resisted the temptation and decided that he will play only in Dubai," Padukone said. "If I was in that place, I would do that (skip tournaments). Although that does not guarantee that you will win tournaments you will play to your potential. Sindhu's Olympic silver has made so much difference. She took a six-week break before the 2016 Rio Olympics and peaked at the right time. Ups and downs will always be there but it is important to analyse and look for improvement."